Laurie’s initial interest in physician recruitment began early in her career during her term with the Ontario Medical Association (OMA). There, working in the Membership Department, she was a liaison for the Association in her work with medical students and residents, along with her work in assisting physicians in finding suitable practice opportunities. In 2001, Laurie and her family relocated to Chatham. She has experienced what it is like to move to a new community and has a first-hand understanding of the excitement and stresses of a big move. Since moving to Chatham, Laurie has acquired over 18 years’ of physician recruitment experience, in roles in both community and hospital physician recruitment. 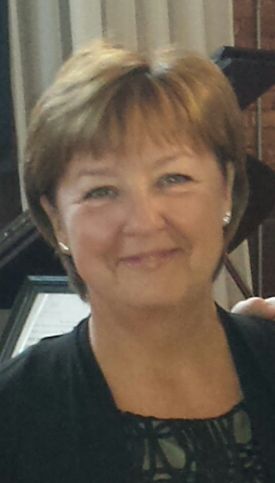 For the past 10 years, Laurie was a Regional Advisor with HealthForceOntario Marketing and Recruitment Agency. In this government role Laurie enjoyed full access to the Agency’s broad base of recruitment and retention resources. These services included the Agency’s free web portal – HFOJobs, along with a variety of locum programs, resources in marketing, as well as developing ‘best practices’ for policies and procedures in recruitment and retention, used across the province of Ontario. Laurie has worked closely with medical residents in training and currently practicing physicians, assisting them in finding the best practice opportunities that meet their professional career objectives, while satisfying their personal priorities. Additionally, Nash was the physician recruiter spokesperson for the CBC Doc Zone documentary “Desperately Seeking Doctors” and is a past chair of the Canadian Association of Staff Physician Recruiters.